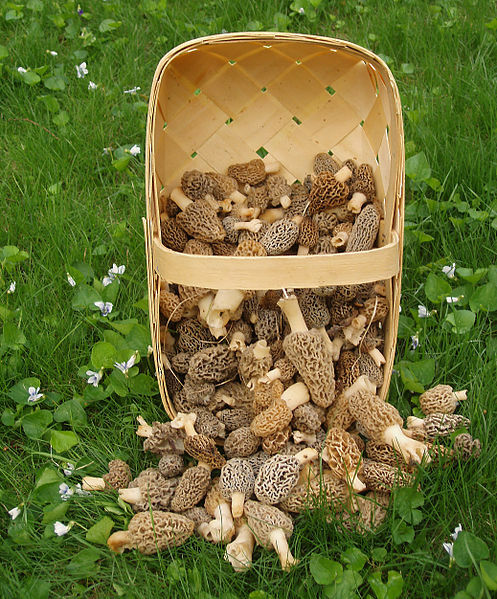 · There is an annual morel hunting festival in Boyne City, Michigan. The object is to collect as many morels in 90 minutes as possible. The record is 900, but most people are lucky to find a dozen. False morels are not included in contestants' total. 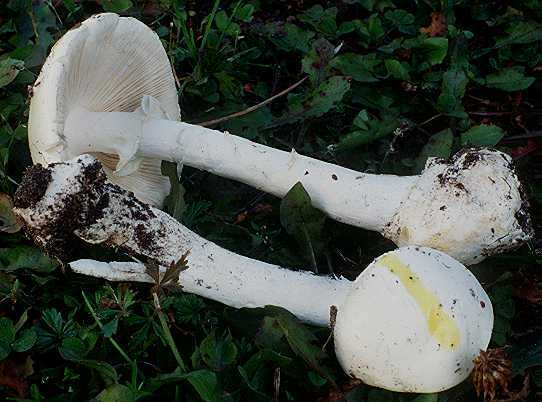 · The false morel was the most common cause of mushroom-related poisoning in Poland after WWII. · Fungi can’t digest plastics or some select pesticides with their exoenzymes, but they can digest pretty much everything else! · Sadly, fungi can't move. Despite that, molecular data shows they are more closely related to animals than to plants. · Even though Gyromitra esculenta is generally considered poisonous, many people still consume it. In fact, it is even considered a delicacy in parts of Europe. · Fatalities related to the false morel have been reported since 1920. · Industrial applications of methylhydrazine, the compound found in the false morel, include rocket fuel and corrosion inhibitor. 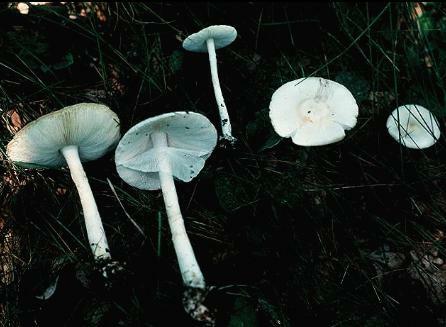 · In a study done on the amount of gyromitrin in the false morel, mushrooms collected a higher altitudes had less toxin than those at lower elevations. 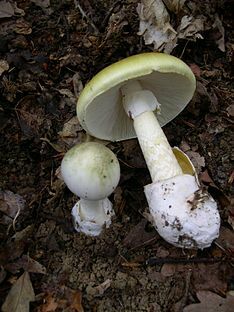 Don’t eat Amantia species like Amantia muscaria, which has been identified to be hallucinogenic and poisonous, or the world famous "death cap" Amantia phalloides (below, left). 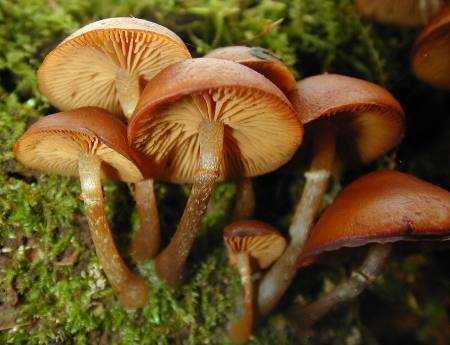 Avoid little brown mushrooms, also called LBMs, like Gallerina autumnalis, (below, right) which contains the same toxins as the death angels. Avoid false morels, of course! Fungi photos on this page courtesy of TomVolkfungi.net. All others were taken from Wikipedia.com. So now you know all about the false morel Gyromitra esculenta, but what about the mushroom it got its common name from? False morels can hardly be discussed without true morels coming up, so head over to the true morel page to find out more about these mushrooms.